Noe Valley is one of my favorite neighborhoods in the city. It has sentimental value for me since my husband and I purchased our first home there – a two bedroom condo with a fireplace and outlooks to a beautifully manicured garden. I have many fond memories of that 850 square foot condo! 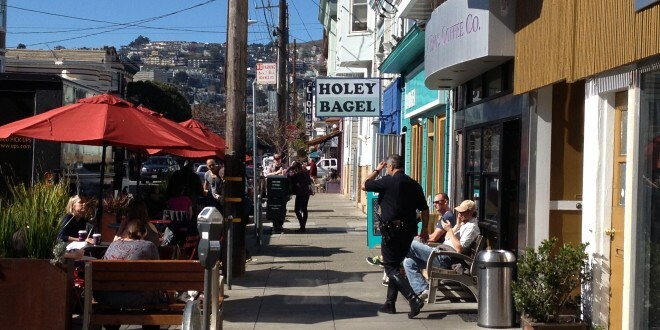 But when we bought it in 1990, Noe was not the Noe Valley we now know. In fact, a few short years before we made our purchase, a taxi driver brought me to my sister-in-law’s home on 27th at Church and told me to “be careful” because it wasn’t a very safe neighborhood. When we were considering buying in Noe, our friends on the north end of the city wanted to know why we were moving “all the way over there,” as if it was in the suburbs. Back then, it was a relatively sleepy, friendly place with an eclectic group of people who lived there and we liked it. With its proximity to the peninsula and easy highway and BART access, Noe has become one of the hottest neighborhoods in the city. Most of my buyers include it in their search, hoping against hope that they can find a home there. They know they will have to go through multiple offer hell before they can prevail. A look at homes that have sold in the last six months in Noe reveals that 63 homes have sold. The average price was $1,938,586. The home that sold for the most was at 3816 22nd Street, a four bedroom, four bath home with two car parking and 5814 square feet (otherwise known as “the Firehouse”) for $5,550,000. This is a price that was not ever even imagined for a home there when I first set my eyes on Noe in 1987. A number of homes in the last six months sold for over $1000 a square foot, and one home, a two bedroom home on Duncan which was 750 square feet sold for $1740 a square foot at $1,305,000. The average home sold for 7% over the asking price. However, a home at 1032 Castro sold for 39% over asking! Its list price was $959,000 and its sales price was $1,340,000. Many tech professionals are moving into Noe and Google bus stops are plentiful. It’s no secret that there is some resentment about the change that is going on there. I no longer live there but I do know one thing that is certain and that is change. My hope for Noe is that it does not lose its idiosyncratic Noe personality, with its resistance to mega corporate stores moving in (Whole Foods got through somehow) and its attraction to people from a broad spectrum of life. Also, my hope is that some of the Victorians and Edwardians remain intact. I’ll always be fond of Noe and remember it as it was and watch it change from across the city. Next: Classic Modern Condo In the Heart of it All!